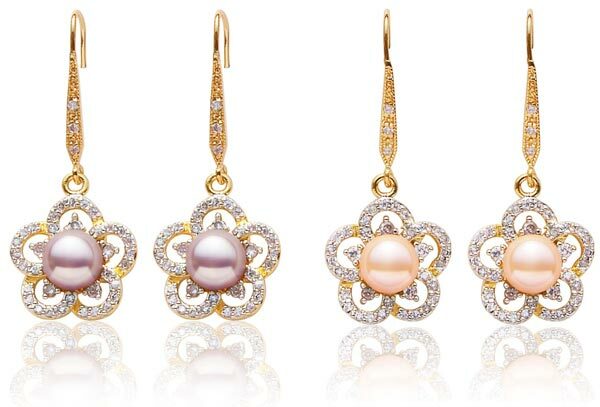 Show off your style with these flower earrings. It will add flair to any apparel, from casual to formal. Makes a great gift for yourself or someone you love! 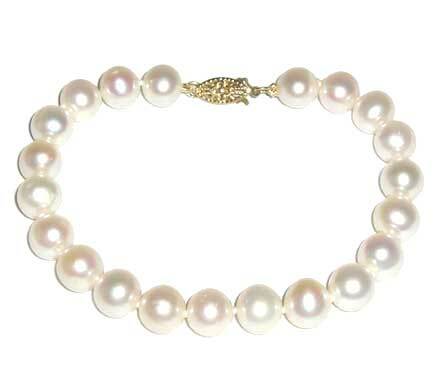 8-9mm round shaped button pearls are set in an elegant base metal setting with 18K yellow gold overlay. The earrings measure approximately 1 2/3″ in length and have an approximate weight of 7 grams. 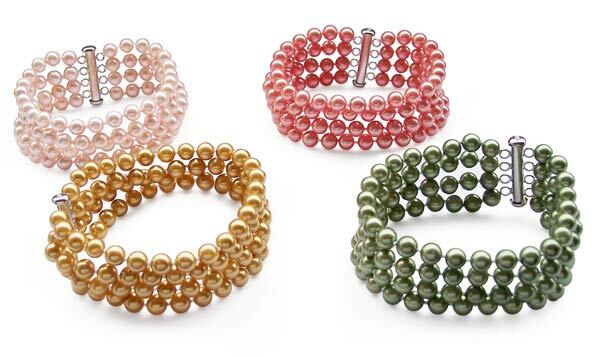 Three colors of pearls are available: white(sold out), pink , mauve. 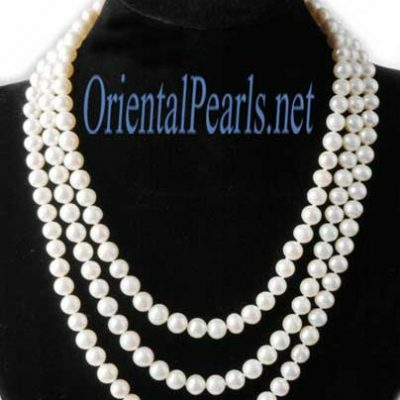 Get a matching pearl pendant here!